While we're sad to see you go, closing your account is very simple. 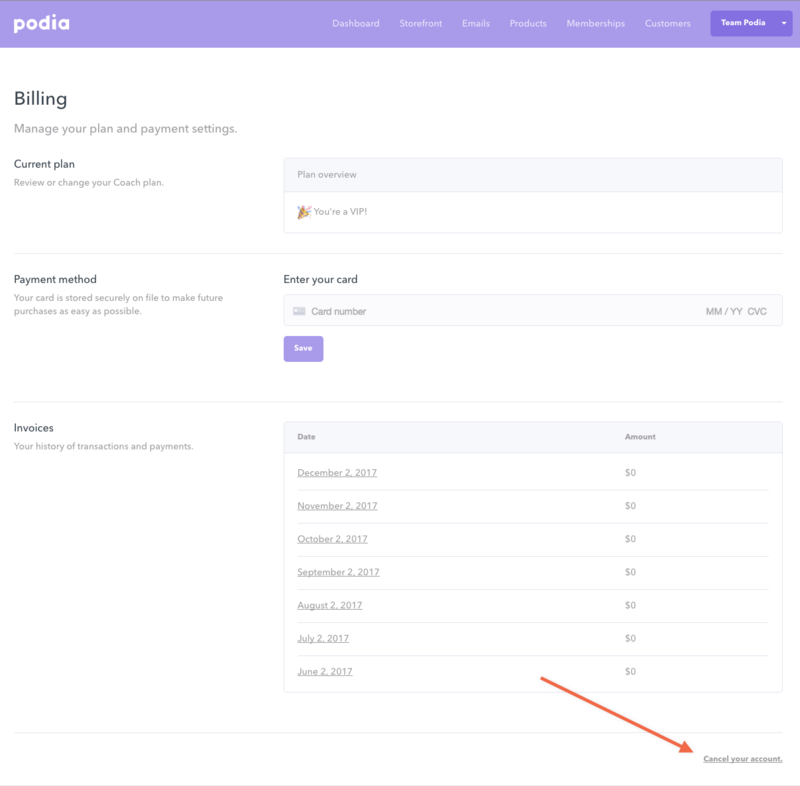 Step 2: Once inside your billing settings, scroll to the bottom of the page. On the bottom right corner, you should see "Cancel your account." Click on that link. Step 3: Once you click the link, a window will pop up with two options; if you want to cancel your account, click the red button "Yes, cancel my account" to confirm. And that's it! If you still have questions about how to cancel or your account (or need help) you can email us at [email protected] or click the icon below to chat.